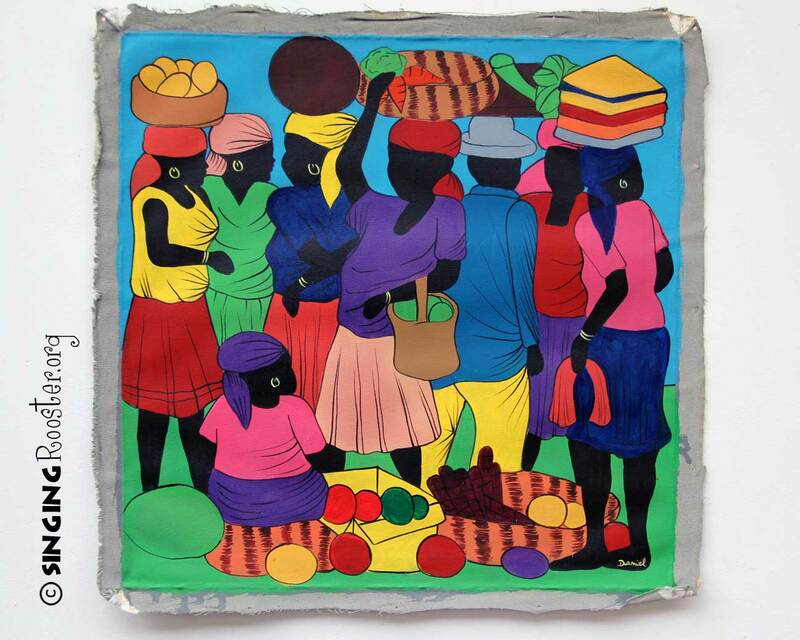 Traditional Market Scene – Haitian painting. Bold colors, baskets on heads. 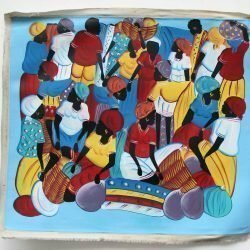 Hand painted in acrylic on canvas; packaged as rolled canvas in a tube or shipped flat.